Johann Israel de Bry. 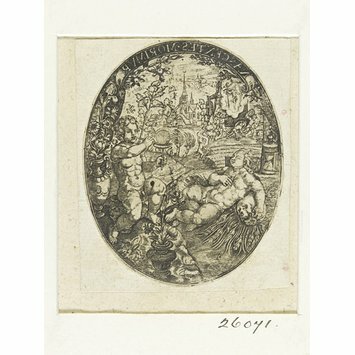 Oval of ornament with vanitas imagery in the foreground and a resurrection of Christ in the background. 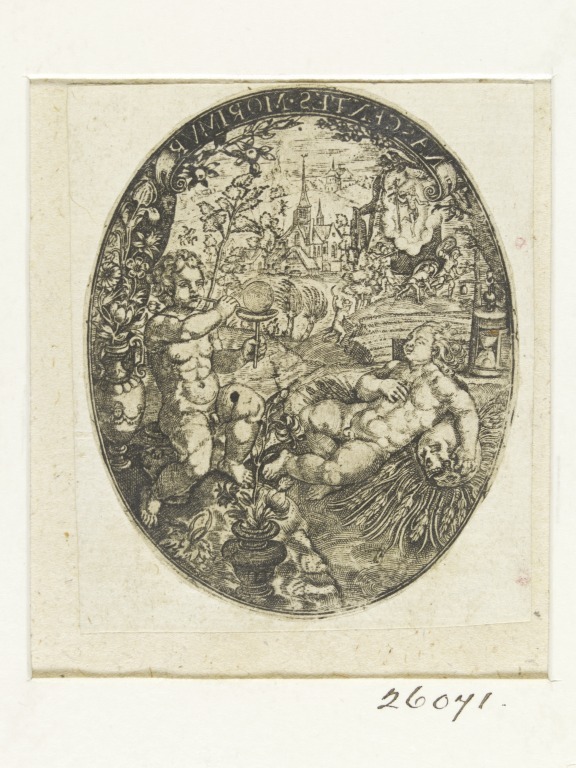 Germany or the Netherlands, 1590-1620.